Just one year after the release of the latest album Roxette are back with another album. Per Gessle tells Tunigo about the production, about what kind of feeling the duo wanted to “catch” on the new album, as well as why they include new versions of old songs on the album. – “It Must Have Been Love” is quite hackneyed, he explains. Last year “Charm School” album was released. 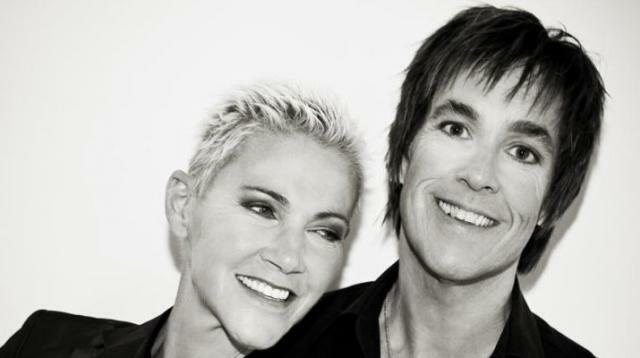 On the 23rd of March Roxette will release “Travelling”. The material is both new and old, Per Gessle says. - Most of it is newly written, but a part of the songs have some years behind. It is like that when we make a new album. We go through the archive and check out what we have there. The whole idea with the album is to try to catch all the positive energy that exists in a band which has been on tour so long (19 months). We did a similar try in 1992 with an album called “Tourism”. The album is recorded all over the world. Per names both hotel rooms in South Africa, sound checks in Dubai and live recordings from Rio, and even Aerosol Grey Machine Studio in Österlen. This is owned by Christoffer Lundquist and Per describes it as “the second home”. - There I have recorded the most material of my life starting with “Mazarin” 2003. His influence is enormous, don’t forget the fact that he can play all instruments. Together with Clarence Öfwerman, he is part of a fantastic team. For example, they have done the whole arrangement. Moreover, Christoffer is fantastic in cooking scrambled eggs when we work until late! 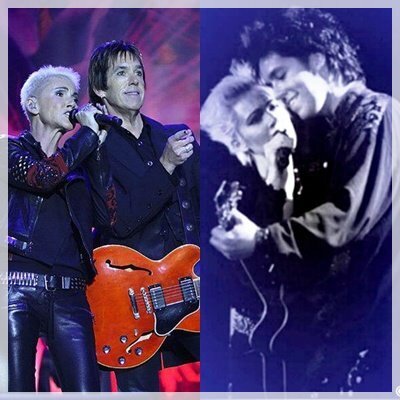 Roxette have released 16 albums since 1986. Last year they broke the 10-year long silence with “Charm School”, which sounded like their first albums, according to some soundings. In what way does “Travelling” differ from the old albums? “Charm School” reminds of a classical Roxette-album with big and effective productions. “Travelling” is exactly the opposite. First of all it is about taking advantage of the band and everything that it includes, it is rather a feeling than something else. It has been a wonderful project to work with. You have some new versions of old songs on the record, why did you choose to include them? - Many songs don’t find their profile and identity in the studio. There can be many sources, the arrangement can be ridiculous or perhaps a song starts like number 10 after a work of few months and that production has become another song. It happens quite often. When time has passed, you can start from zero again and then all the puzzle pieces have come to the right place. “Turn of the Tide” and “Touched by the Hand of God” are two such examples. “See Me” is sung by Marie, we have liked that for many years, but we thought that the song needs a new “suit”, so we kept the song and changed the rest. “It Must Have Been Love” together with “Listen to Your Heart” are our most played songs on the radio stations in the world and, because of that, they are quite hackneyed. The original recording is 25 years old, so we thought that it was time for another version based on symphony orchestra and Marie’s voice. It became incredibly strong and ends the album with pride. - The fans can expect a warm and simple album done by a band that feel great and have a lot of fun together. The album is dedicated to our fans from all over the world. It is due to them that we had the possibility to do it.